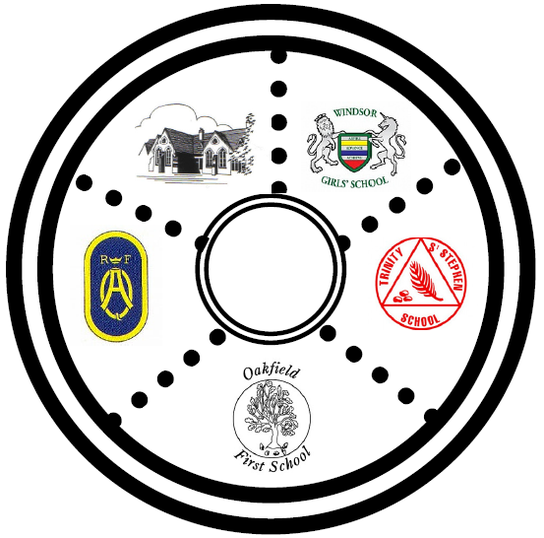 The Clewer Cluster, led by Oakfield, comprises Oakfield, Trinity St Stephen, Clewer Green and Queen Anne First Schools, and Windsor Girls' School. Activities which can be accessed by any pupils or students from these schools are either organised within the Cluster or 'signposted' if they are offered by other providers such as local sports centres. A programme of activities for children is available during some weekends, half terms, Easter and summer holidays with a variety of partners including Eton College and Windsor Library. Booking forms/fliers are sent a few weeks before each event.